Simple medium gray twill fabric with mini white dot cosmetic bag. 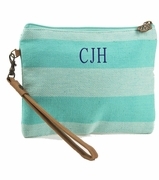 Attractive and casual everyday accessory pouch with zipper closure. Ideal for traveling. Store makeup, jewelry or personal items. 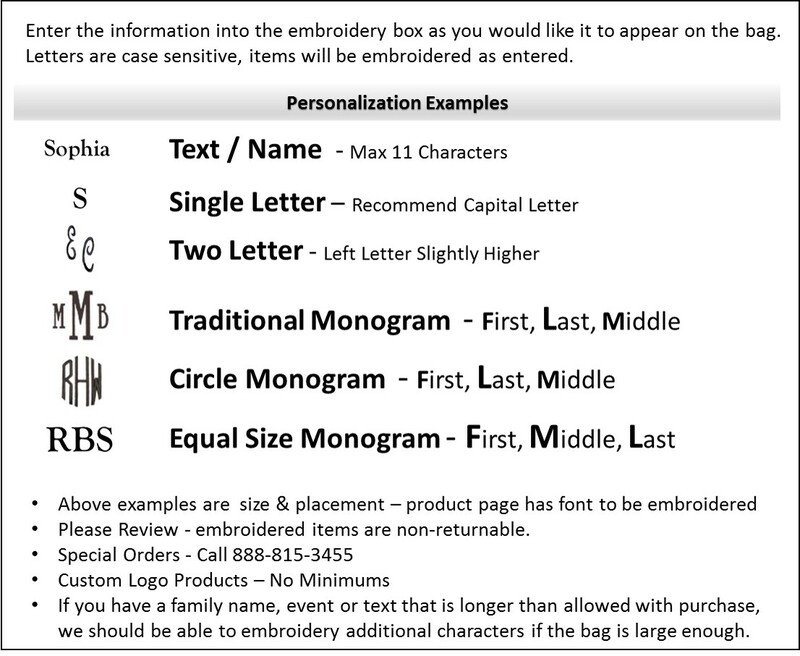 Include a name, monogram or initial for a college or high school graduation gift. 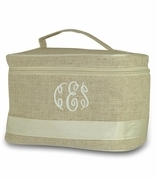 Add a travel tote bag search item RS-46017 for a matching set. 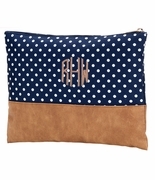 Monogram mini dot makeup bag measures 7.5"W x 5.5"H x 3" across the bottom.